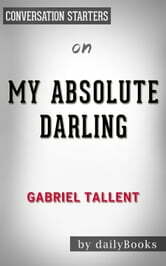 My Absolute Darling, the debut novel of Gabriel Tallent, is the story of a 14-year-old girl who likes to wander the wilderness in Northern California where she is dealing with a life of social isolation after the death of her mom. She is being raised by her abusive and controlling father, Martin, an extreme survivalist who fears the end of the world is approaching. Through her increasing bravery, brought on by new friendships, Turtle begins to wage a battle for her soul. Even though it was released a short time ago, My Absolute Darling is already highly acclaimed by the New York Times and National Public Radio.